Is it really more than 3 months since I last posted something? I can easily believe it. What excuse would you like me to make? I have many, but thankfully this time I’ve no reason to blame a black dog – far from it. In fact, life is good. Really, the only dampener over the last few months has been the weather. With a good work-life balance now (thanks to a new job) it could have been wonderful summer, but let’s just say memories of it are dominated by wind, rain and cold. We’ve not swum in the sea even once this year, and that’s unusual. I don’t mind cold water, heck I’ve even swum in the Atlantic above the Arctic Circle, but when there’s little shelter from a relentless cold wind, a dip in the ocean holds little appeal. We probably should have headed south this year on holiday, even back to Devon, but with a lot of uncertainty it was hard to plan ahead and, as we had a commitment to attend a wedding in Dublin, we decided to turn the trip into a holiday. 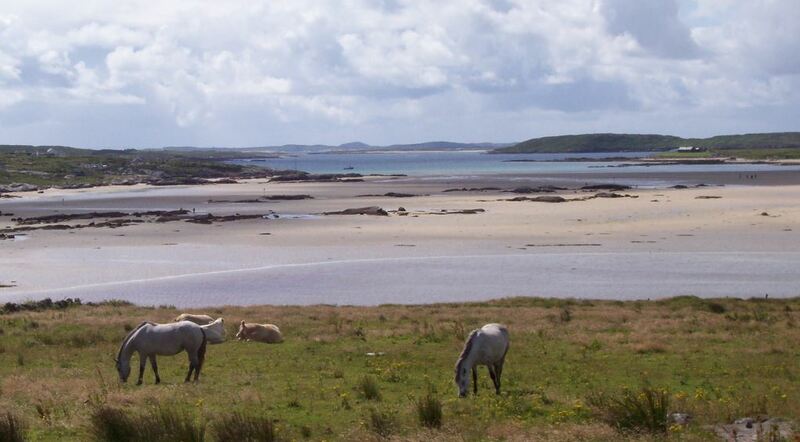 We’d a hankering to go back to Connemara in Co. Galway, having last been there some 20 years ago. It is a beautiful area. We saw a lot of changes in 20 years but it was as stunning as I remembered. 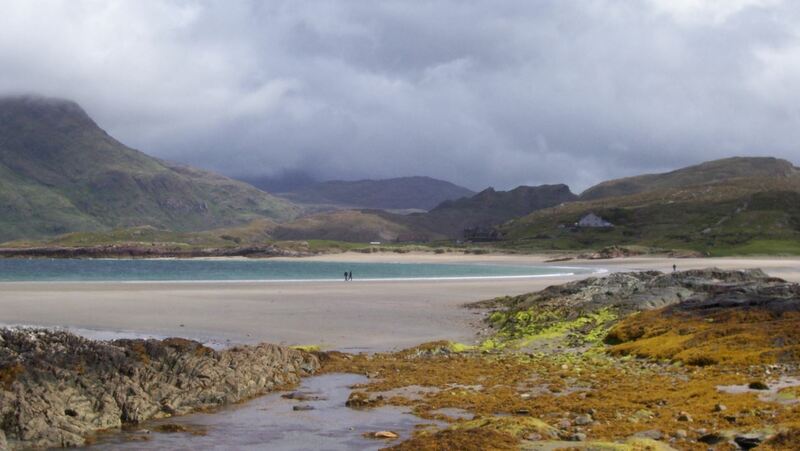 There is something wonderful about the white sand beaches you get in the west of Scotland and Ireland. Great walking when the rain held off, and fantastic food, however it felt more like September than the end of July. 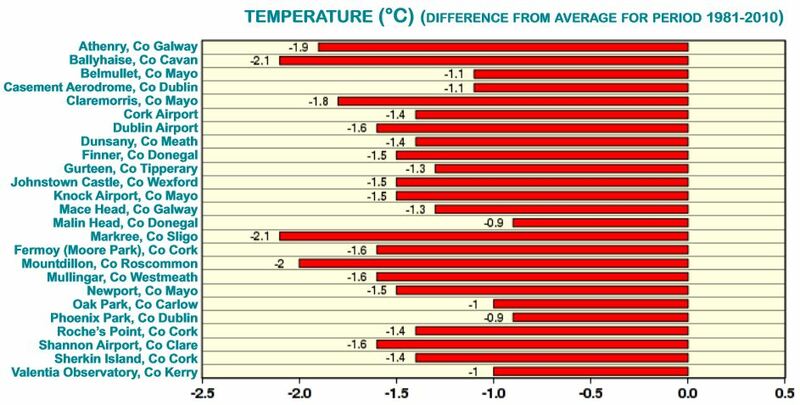 In fact the September at home is turning out to be warmer. As we left for home, Met Eireann, the Irish Met Office, was reporting the stats. Here is their detailed monthly summary. This entry was posted in Images, Personal, Uncategorized and tagged Ireland, July Weather, Met Eireann. Bookmark the permalink. Been cool everywhere. At least we are getting a cool indian summer, then the autumn gales will kick in. More or less we are back to how things were before a few years of warmer. These periods come and go. Thank you. Yes indeed the last few years have been more like what I remember from my childhood. The equinox gales are very late this year. Been there, done that, worn the tshirt, and the waterproofs…..
Judging by the straightness of that range of rugged hills in the first photo, I’d say they’re the Maamturk Mountains, and the view is over Killary Harbour, or very near. Did you visit any of the “Coral Strands” while you were there? If I’m right about the location, there’s one just off to the right, out of view. They’re not made of coral, of course, but the remains of coralline algae. Walk on it in bare feet, and it’s like walking in uncooked rice grains (a bit smaller though) – wonderfully soothing. 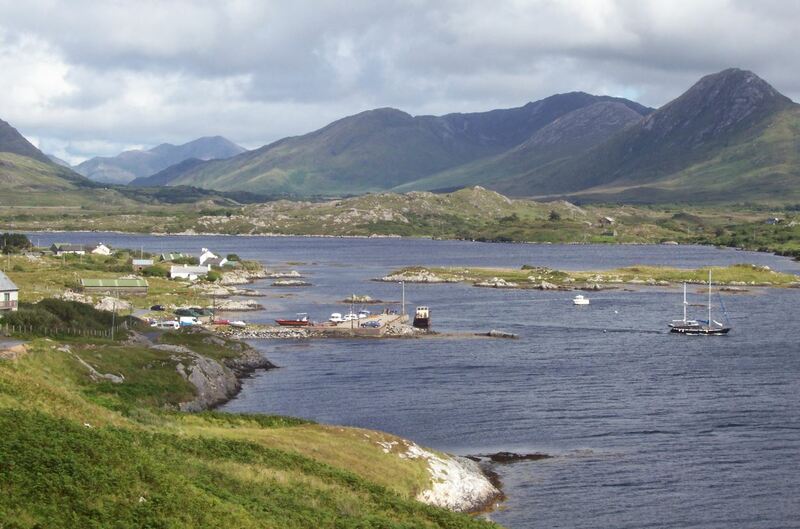 Actually the view is from the back of Tully mountain, across Ballynakill Bay and Letterfrack, south of Killary Harbour. The Maumturks are the distant range in the centre. The bottom picture is looking northeast across Killary Harbour (hidden) towards Mweelra mountain. We didn’t visit any coral beaches, but did come across bits of marl on some beaches, realizing what it was. Good to hear from you again Verity. I’ve been down to Devon a few times this year and been blessed with good weather each time, though that’s at least in part because I can be choosy when I go. Being by the sea is definitely beneficial for the soul. I love being beside water, but any water will do, not just the sea. It is great to have you back. Those photographs remind me that I moved to Belfast in 1966 and fell in love with Ireland. I would be there still but for the sad fact that my son (#2) found a bomb on his way home from school in 1975. He brought it home and said “Hey, Mom I found a bomb!”. I got home from work to find the house festooned with plastic tape. The Army, the Police, the Fire Brigade, the Bomb Disposal Squad and folks who I assumed were with MI5. I sold my house. I sold my business and moved to Manchester, UK. In 2007 I returned to Belfast and was impressed to find that the “Troubles” were no longer an issue. My wife who is from Colombia loves Northern Ireland so we looked for schools for our youngest son (#6). He was accepted into Inchmarlo which guaranteed him a place at RBAI (Royal Belfast Academical Institute), a truly “World Class” high school. If this school was in the USA we would call it a “Charter School”. It has been operating since 1805 and has many distinguished alumni including William Thomson (aka Lord Kelvin). We found that we could buy our house at 115 Fortwilliam Park for 400,000 pounds which was 53 times what we sold the house for in 1976. This was quite a shock and we soon realized we could not afford to live in Belfast so we remained in Florida. As a result our youngest son attended Viera HS in Brevard County, Florida. While this is a highly rated school by Florida standards my son graduated 18 months behind what would have been expected at RBAI. That is terrible, but then so many people were affected – even in England. One of my friends in London found she had been living in the same building as an IRA bomb factory, and a friend in Belfast, who joined the police after college, is now in a wheelchair having been shot in broad daylight while going into a shop to buy a paper. On the other hand the schools are amazing. In my first job I shared a flat with a newly qualified teacher from Belfast who’d come over to England to get a job because of the oversupply of good teachers in Northern Ireland. She was horrified by the standard of behaviour in some of the English schools – even the better ones. That was in the early 90s. I remember her telling me that children educated in English schools who move to Belfast used to be kept back a year because the standards were different. I had trouble finding this the other day when I read your comment on a tablet and the link just went to Jo’s site, but I got there eventually. It is such a simple thing but actually quite shocking.